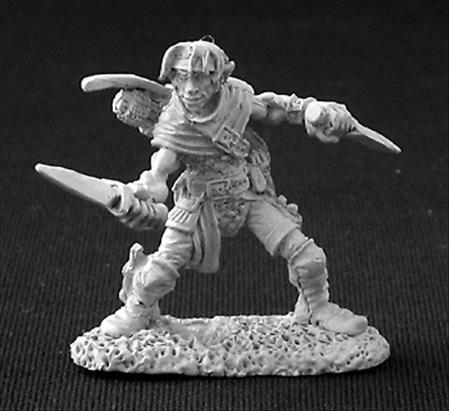 Day 13: First miniature you used for D&D? The first miniature I used for D&D was way back in the late 80's. I have no idea what brand it was, but it was a pewter human fighter that never actually got painted. It wouldn't be until much later, around 1995 or so, that I even knew miniatures could be painted. Back then I was purchasing elf miniatures and painting them all as drow, mainly because we were playing an underdark campaign and we had drow PCs as well as drow foes... but also because the drow have been one of my favorite D&D races in the game since I first saw them in my 1st edition Fiend Folio. Ironically, it wasn't until well into the 3rd edition years (probably 2006 or later), that we ever used miniatures with a grid - and even then, the first few runs involved Mage Knight figures. The D&D Miniatures line really opened the world of miniatures up for me... no longer were minis just a glorified way of keeping up with party line order!